Twitter hashtags for careers and job search purposes is still a useful way to follow conversations and expand the reach of your tweet. The hashtag is helpful when you’re researching jobs, finding career advice, workforce trends, or industry trends. You can also expand your reach when the content would benefit many people, so you add several hashtags to give the tweet optimal exposure. 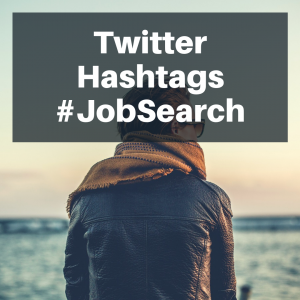 In 2012, Joshua Waldman published an article on his blog, “50 Hottest Twitter Hashtags for Job Seekers.” Waldman’s post was a great resource. Job seekers will find valuable content offering advice, articles, videos, podcasts, and even job leads. I looked at his article recently and discovered some of the terms went away. I don’t know if I was successful in creating a new list of hashtags to follow on Twitter, but I say with certainty this list is useful as a job search tool. Last year, Twitter published a Twitter hashtag Do’s and Don’t article reinserting their usefulness and perhaps, to motivate others to start using them again. I have never stopped using them as I write job search advice and tweet out articles. You may apply the same hashtags below to follow its a Facebook career and job search update. Many people have used Facebook to update their Twitter account for years. Since Linkedin’s algorithm is different from Twitter’s algorithm, you may find it more resourceful depending on the terms you search. Some hashtags have more accessible tweets than others. All of the career-related hashtags listed below are the most robust. Some will go back to 2008. Not all hashtags are created equal. Even if a hashtag has fewer tweets than other popular ones, but it doesn’t mean they are not as useful. Consider following the long-running #jobhuntchat and #InternPro (originated by YouTern.com) Twitter chats. Both I believe have been running eight years strong. Keep in mind many people abuse hashtags all of the time. People often use hashtags humorously or to send a completely unrelated message. Spelling makes all of the difference in following the right hashtag. Note there is a “career” and “careers” hashtag, as there is a “job” and “jobs.” There are hashtags for the misspelled ones, too.